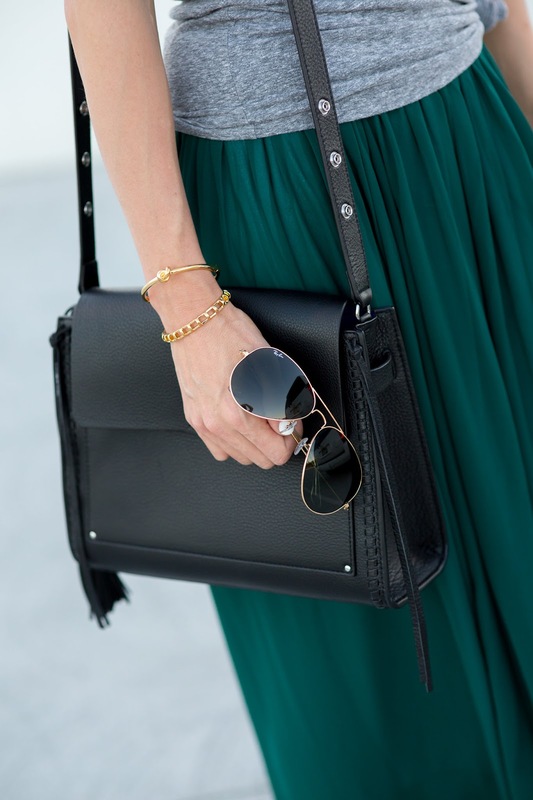 I swear I'm always seeing gorgeous pieces like THIS pleated maxi in the store, but I never know how to wear them! It just seems so "fancy" right? I always think, "I would never have anywhere to wear that"...WRONG! Today I'm sharing the perfect way to dress-down those "fancy" pieces you've been eyeing, or maybe the ones that are already in your closet! The simplest, easiest way to dress it down? A t-shirt. Yep, it's as easy as that. 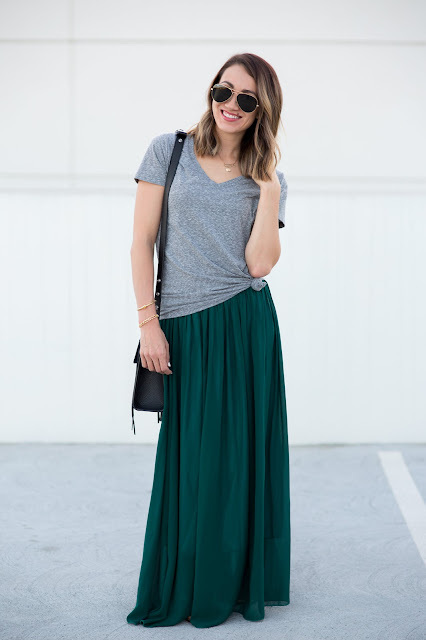 You don't want it to look too baggy, or grungy, so tie that baby in a little knot, and throw it on over your maxi skirt (or even maxi dress). 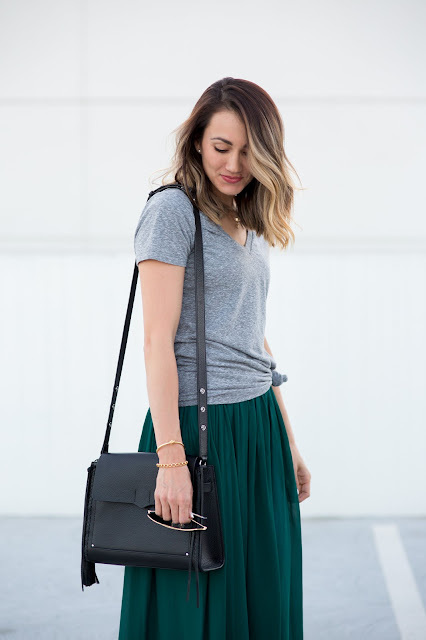 The gorgeous skirt I'm wearing here is from Chicwish and it is THE perfect skirt for that summer to fall transition. The color is even more beautiful in person, and it's super thick and so well-made. I love how it flows, and the length is perfect. It comes in a few other gorgeous colors, too, for under $40! I think I've said it like 20 times, but I seriously can't wait for fall to be here!